Get a Jordan Pass here prior to your arrival if you are thinking of visiting Jordan, it will save you so much money. Coming from the US I got my visa fees of (40 JD/$56) waived when I showed my pass and I did not have to pay entrance fees in certain touristic sites because of the pass. Jordan is not as cheap as you may assume, $1 is 0.71 JD (Jordanian Dinar). With that being said, don't change too much money at the airport because their rates aren't the best and they have commission fees included. Change enough for a taxi then once you get into the city, go to one of the many western unions around to change your money. A taxi from the airport into the city should cost you about 20 JD. You can use Uber in Amman although it's technically not legal and drivers found picking up Uber rides are fined. Uber is seen as major competition to taxis within the city so there is major pushback against it. It's a good idea to get a local SIM card for your phone but that depends entirely on you. I ended up getting one at the airport and it came really handy for me, the provider I used was Orange and I had no complaints whatsoever. If you are thinking of checking out different cities outside Amman, use the JETT bus which is very convenient. They have packages where you can visit several sites within a round trip thus saving you the hustle of doing it all on your own, the buses drop you then the driver announces when departure is so you can do your own thing and come back to the bus when it's ready to leave. There are two JETT offices in Amman where you can get your tickets to other cities, JETT Abdali and JETT 7th circle. For Petra get your tickets at JETT Abdali, for Jerash and Madaba get your tickets at JETT 7th circle. Buses leave for Petra everyday of the week but for Madaba and Jerash the buses leave on specific dates so you have to check the schedule on the JETT website. Carry an adaptor just incase, in Wadi Musa I had to go looking for one as the sockets were not compatible to my laptop and telephone chargers. Thank goodness I was able to find out easily. 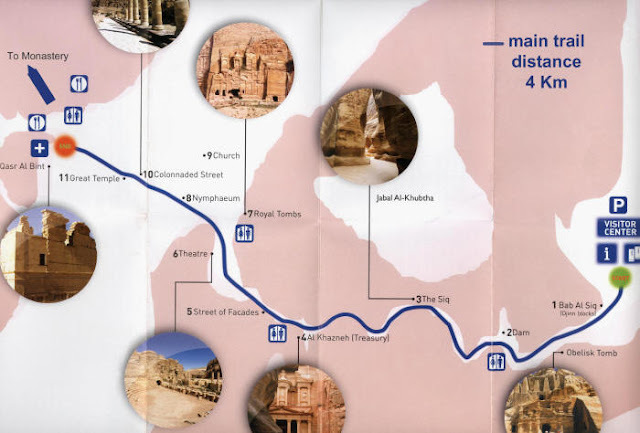 If going to Petra and you decide to use the help of a guide, mention that you would like to check out the monastery so that they can give you guidance on what shortcut to use so that you end up seeing all the sites. I found this out too late unfortunately, the route I used to get really good aerial views of Petra was physically challenging because I was climbing up and down a lot so by the time I got to the royal tombs I was too exhausted to continue to the Monastery, I probably would have made it had I not carried my backpack. Can you see all the sites in one day? sure! but now I see why 2 days is recommended. Unfortunately I just didn't have enough time. Be very careful on which random person approaches you in Petra suggesting to guide you, there are professional guides you can get at the entrance but some of us who are always looking to get things on the cheap decided to use someone who was not a certified guide for half the price. I was lucky that it turned out well for me but he was telling me that some people are malicious and greedy so they can lead you to a trail that is very tricky and then start extorting more money from you knowing that you will have no choice but to give in since you can not make it out of the trail by yourself. All I can say is that if you chose not to use a certified guide and opt for any random person that offers you a cheap price, you are taking a risk.